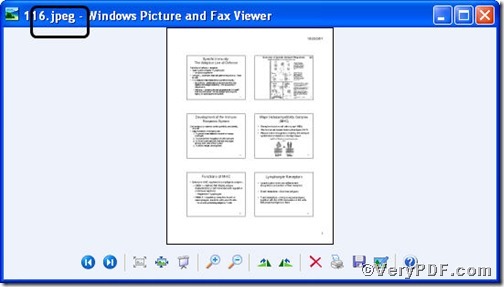 ← How to convert MS Office PowerPoint documents of PPT to JPEG? The jpeg image file format is much easier to edit compare with prn file, if you want to set prn page size, you can first convert prn to jpeg and then set page size. 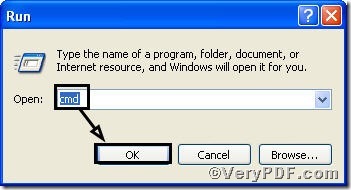 The converting progress is simple if you choose PCL Converter command line to assist you. The article use 116.prn as an example as well set its page size width to 500, height to 500 to illustrate. PCL Converter command line can quickly convert PCL,PRN and PXL print files to Adobe Acrobat PDF files as well as PS, Postscript, TIF, TIFF, JPG, JPEG, BMP, PCX, PXL files. This is not a raster based conversion. 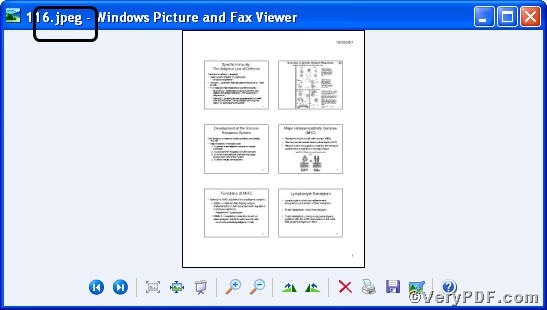 VeryPDF PCL Converter can be used to create either bitmap files (PCX, TIF, JPEG, etc.) 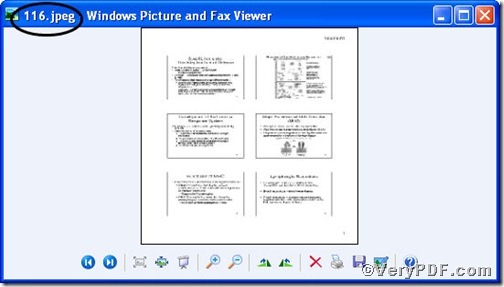 at various resolutions or searchable PDF, PS, Postscript files.VeryPDF PCL Converter is the fastest and most accurate converter of PCL, PXL, PX3 to PDF, TIFF and other distribution formats. Integrate high-volume batch conversion into your server-based application or workflow. -width 500 -height 500 is to set page size width to 500 and height to 500. From the picture, you can find prn file has been converted to jpeg file successfully and the page size has been set in line with the command line. 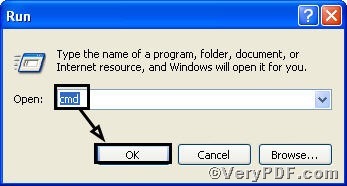 This entry was posted in VeryPDF Blog and tagged command line, PCL Converter command line, prn to jpeg, set page size. Bookmark the permalink.